Atlas Commerce Center | The Port of Charleston is the Fastest-Growing in the U.S. According to a recent study by CBRE, the Port of Charleston is the nation’s fastest-growing seaport. 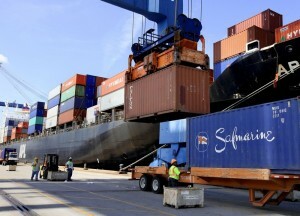 Since 2009, Charleston’s cargo volume has grown 52% compared with 25% growth at ports in the rest of the country. This is due in large part to South Carolina’s manufacturing boom which includes the likes of BMW, Westinghouse, Daimler and tiremakers Goodyear and Giti. The port is also midway through a $2 billion capital improvement program which involves deepening of the harbor, highway improvements and the construction of a new terminal.